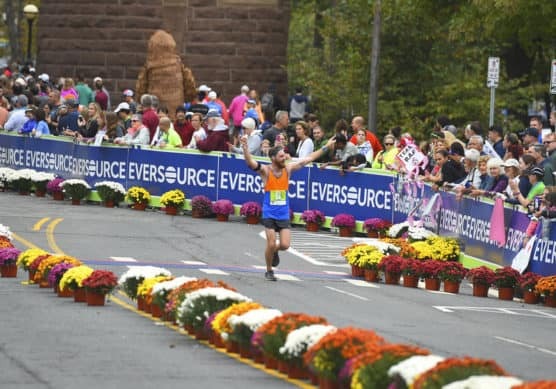 The vibrant colors of fall are on display for runners, walkers and relay participants all through Connecticut’s capitol city at the Eversource Hartford Marathon & Half Marathon, formerly known as the Greater Hartford Marathon & Half Marathon. Set for its 26th annual running this year, the race features a mostly fast and flat course for the half marathon, with just a couple of significant hills along the country roads just outside town and the neighborhoods in the city’s west end, and a long riverfront stretch of the race along the Connecticut River that flows through Hartford. 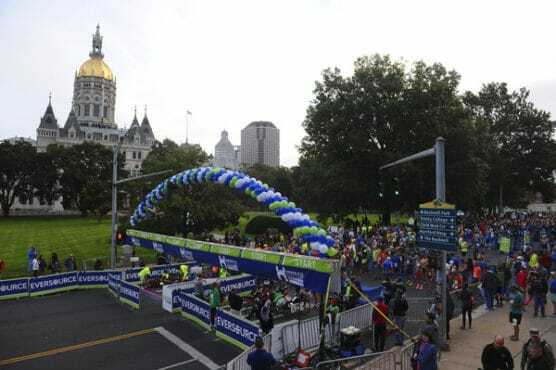 All of the races in the event — which includes a full, 26.2-mile marathon, the 13.1-mile half marathon, a team relay, a 5K race and a “Kids K” race — start and finish near downtown Hartford’s Bushnell Park. From there, the course follows what can be described roughly as a clockwise loop through the city. Once over the bridge, the course then turns onto Darlin Street and then again onto East River Drive, which then curves around toward the river and gives runners and walkers their first stretch along the riverfront, including a run through the city’s Great River Park. The race course then follows a big sweeping loop around Silver Lane, Main Street and Pitkin Street, taking runners all the way back to the Founders Bridge for the run back over into the western part of the city. This section of the race takes runners along Market Street, Reverend Moody and Westin Street, and then heads into Hartford’s Riverfront Park for the long couple of miles along the wide, shaded & paved trails along the Connecticut River, showing off the city skyline as well as the natural beauty of the changing fall foliage along the river. This stretch takes the field all the way from the turn onto East Service Road south to Van Dyke Avenue near Dillon Stadium, and turns onto Wawame Avenue for a stretch of the race that takes runners through the city’s west end neighborhoods. As the last few miles of the course unfold along Huyshope Avenue, Charter Oak Avenue and Park Street, runners continue running through the residential neighborhoods and through Pope Park, turning north onto Laurel Street and then east onto Capitol Avenue, for the home stretch back into Bushnell Park. 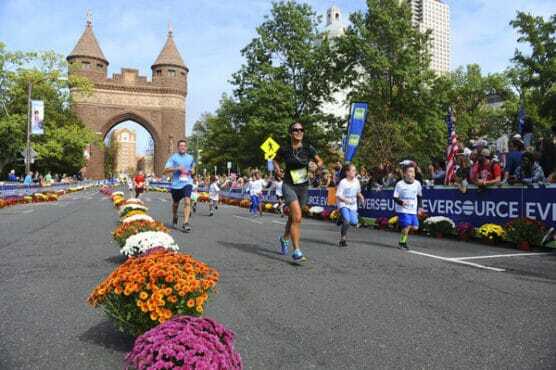 The finish line takes runners through Hartford’s Memorial Arch inside the park, and after the biggest hill of the race around the mile 11 marker the last mile into the finish is flat. Located near the geographic center of the state, about 120 miles from New York City, Hartford tends to experience mild to cold weather in the mid-fall, as October has brought record temperatures as low as 18°F (in 1940) and as high as 89°F (in 1959). See the race route map for the Hartford Half Marathon here. 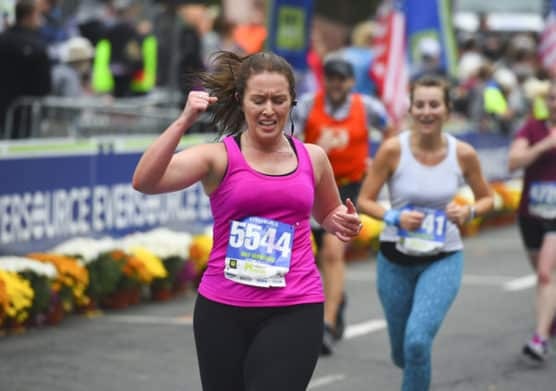 To reserve your spot in the 2019 running of the Hartford Marathon, Half Marathon, Relay & 5K race, register online at ChronoTrack.com here. Ever run in the Hartford Half Marathon? Share your impressions here, or post your review in the Comments below. What? Please tell me there will be a 5K race in Htfd., Ct.